Do you have a complaint, defect or pain in the foot or ankle? 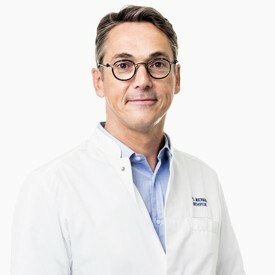 Make an appointment for a consultation with Orthopedie Roeselare. Three specialists with extensive knowledge and skills will investigate the cause of your foot problem. Possible diagnoses or causes of complaints concerning the foot or ankle are: bunion, a hammer toe, problems with the Achilles tendon, heel spur, or osteoarthritis. 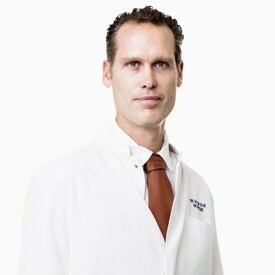 Therefore, Orthopedie Roeselare can provide treatment for your foot and ankle complaints. 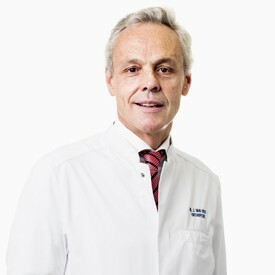 Arrange a consultation or a procedure with one of our specialist doctors. The ankle is a complex joint. It consists of two joints. On the one hand, the actual ankle joint (or upper hinge joint) between the tibia, fibula and talus. 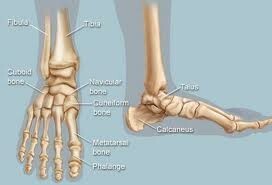 On the other, the subtalar joint (or lower hinge joint) between the talus and the heel bone (calcaneus). The talus is found at the top of the ‘fork’ formed by the tibia and the fibula. The possible movement in this joint is limited to lifting the foot upwards and pushing it downwards (dorsiflexion and plantar flexion). The subtalar joint is formed by the talus at the top and the heel bone at the bottom. The joint allows us to move the foot sideways (inversion and eversion). This is particularly important when walking on an uneven surface.